Pittsburgh, PA –July 28— Wombat Security Technologies (Wombat) today announced that its entire comprehensive, award-winning security awareness and training solution that includes knowledge assessments, mock attacks, and interactive training modules for a continuous training methodology is available in 13 languages. Wombat Security helps security officers deliver a comprehensive, continuous training program by providing all of the software necessary to assess and educate employees, reinforce the right behaviors, and measure overall behavior change. Numerous multinational organizations are using Wombat to reduce their risk, with proven results showing up to a 46% reduction in malware infections and up to a 90% reduction in successful phishing attacks from the wild. To further enhance its product offering, Wombat has added new features that make it easier for information security officers to create and manage their security programs across all regions. Wombat’s powerful Security Education Platform is made up of the following products to enable multinational companies to effectively manage their training programs. 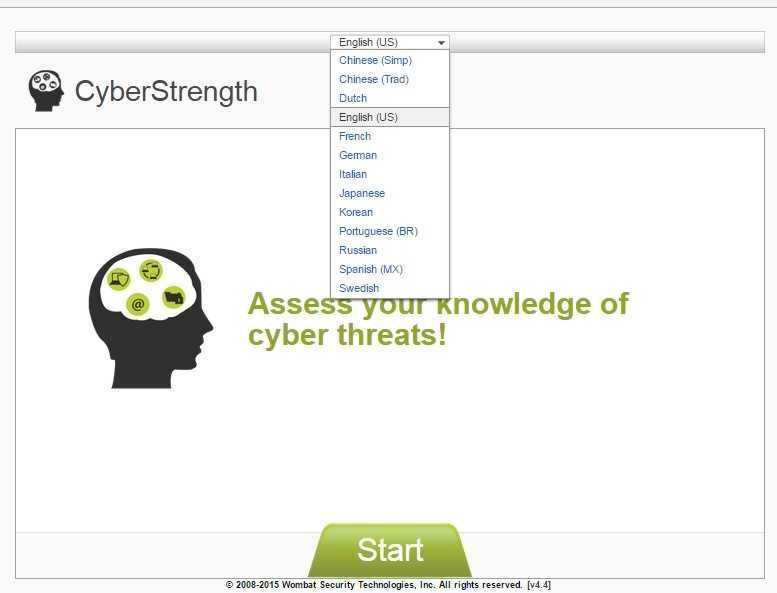 CyberStrength®– This award-winning, one-of-a-kind, broad knowledge assessment tool now has a library of more than 150 cyber security questions in 13 different languages. Administrators can add their own custom questions in any supported language. CyberStrength is the best starting point for planning and measuring an international security education program. Interactive training modules – All of Wombat’s brief and engaging interactive training modules are available in 13 languages. Each training module is a 10-15 minute interactive session that the user can complete at their own pace. Throughout our training modules, Wombat gathers intelligence on end user performance, which enables security officers to identify areas of strength or weakness. Trainees can select the language in the training modules that they are most comfortable with. PhishGuru® – Wombat’s phishing simulation service has email phishing templates and Teachable Moments (in-the-moment teaching messages) in 15 different languages that can gauge employee vulnerability and motivate users to take in-depth, follow-up training. Administrators can create a mock phishing attack for any time zone, simulating the time a real attack may happen anywhere regardless of the Administrator’s home region. 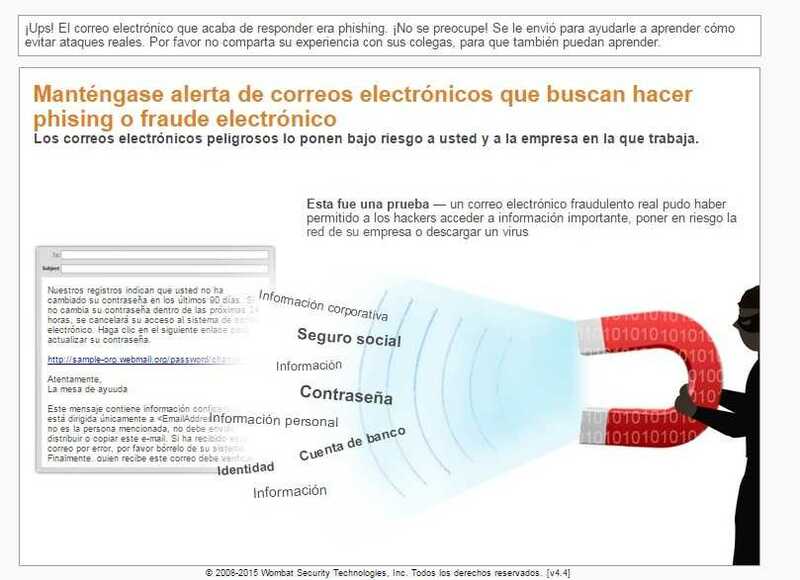 Anti-Phishing Training Suite – Wombat’s Anti-Phishing Training Suite is available in 15 languages today, with translations for 20 languages available by the end of 2015. 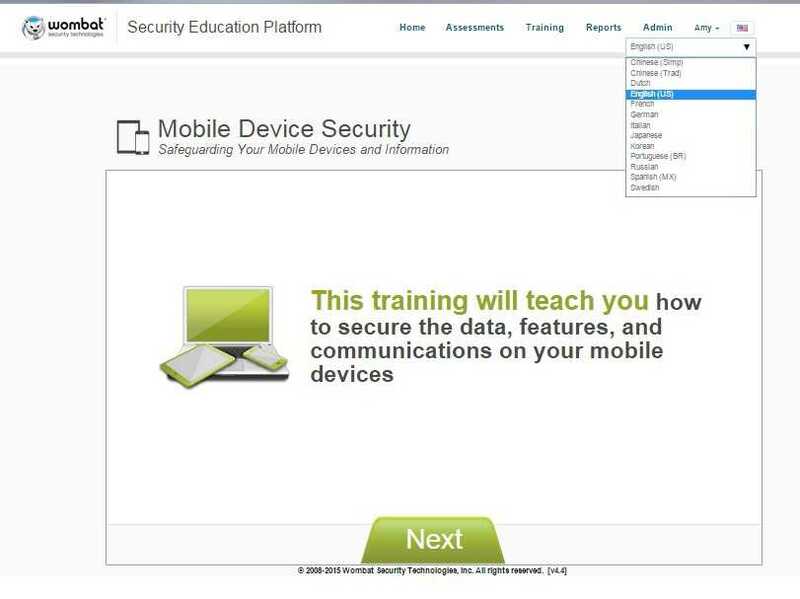 The Anti-Phishing Training Suite includes PhishGuru and three phishing related interactive training modules. Regional data storage – Wombat can host customer data in three different regions to support data privacy laws for employees in those regions. Several authentication options – Wombat provides multiple user authentication options such as single sign on (SSO), authentication tokens, or user name and password.